You can make money in tax liens if you know the rules and do your homework. Jean Norton told CNN about her experiences in this kind of investing. Jean attended a class that taught her the basics of this investing. “Soon afterward, she bought more than $20,000 in liens at auctions in foreclosure-riddled Florida that were promising to pay 17% to 18% in interest. Within two years, she got her entire investment back, plus double-digit returns,” CNN reports. When you buy a tax lien you are investing in tax defaulted property. The liens are sold at tax defaulted property auctions. A lot of people wonder how to make money in tax liens. For this kind of investing, the proper term is a tax lien certificate. Another type of sale used in some states to collect past due taxes is a tax deed sale. You can make big profits investing in each one, but they are different. Both are sold at tax defaulted property auctions. When a homeowner does not pay his property taxes, the county goes through a collection process. It ends with the tax defaulted property auction. This is your chance to invest and make big profits. When you buy a tax lien certificate, you are buying the right to collect the past due taxes plus interest. A federal court case from Illinois explains the tax lien certificate auction prices. “The winning bidder has the right to collect the amount of the lien from the delinquent taxpayer, along with the winning interest rate, in addition to any subsequent taxes paid by the winning bidder and applicable interest and penalties,” the court said in the opening statement. The opening statement presents the undisputed facts of the case. In Illinois, you can earn as much as 18 percent interest every six months (36% annually) on your investment. • The past due taxes you bought at the tax defaulted property auction. • Any other property taxes you paid. • All the premiums added by the county. • Up to 18 percent interest. More than 95 percent of tax lien certificates are redeemed. In a tax deed auction, you are buying the property. California’s tax defaulted property auctions sell tax deeds. California does not sell tax lien certificates. This is important. If you want to own property, then invest in a tax deed auction. You do need a plan for the property once you get it. You can visit Members.TedThomas.com and watch videos and read articles that teach you how to sell property you buy at a tax deed auction. Rescinding the sale is very rare. If that happens, you get your money back. • Some counties require a deposit. This is applied to any purchase you make. If you don’t buy something, it is refunded. Orange County, CA., requires a $5,000 deposit. Humbolt County, CA, requires a $2,500 deposit. Adams County, IL, requires a . Sangamon County, IL, only wants a $200 deposit. • Some counties hold in-person auctions. You have to be present to bid or have someone represent you. • Some counties hold online auctions. You can be anywhere in the world and bid if you have a computer and an Internet connection. Online auctions sometimes give you a few days to mail in your payment. Other counties require an electronic payment. Bid 4 Assets contracts with California counties to conduct online tax defaulted property auctions. You can get a complete list of the auction rules from the county treasurer or tax collector’s office. • The past due taxes. • Interest added by the county. • Penalties added by the county. • Advertising fees associated with the auction. • Other fees, expenses or add-ons that vary by state and county. An example of another fee is a recording fee or document fee. This is the fee charged to record the deed or certificate in the courthouse record books. In Orange County, CA, the fee is 55 cents per $500 of the sales price. When you buy a tax lien certificate, you collect interest on all of what you paid when the owner redeems the property. 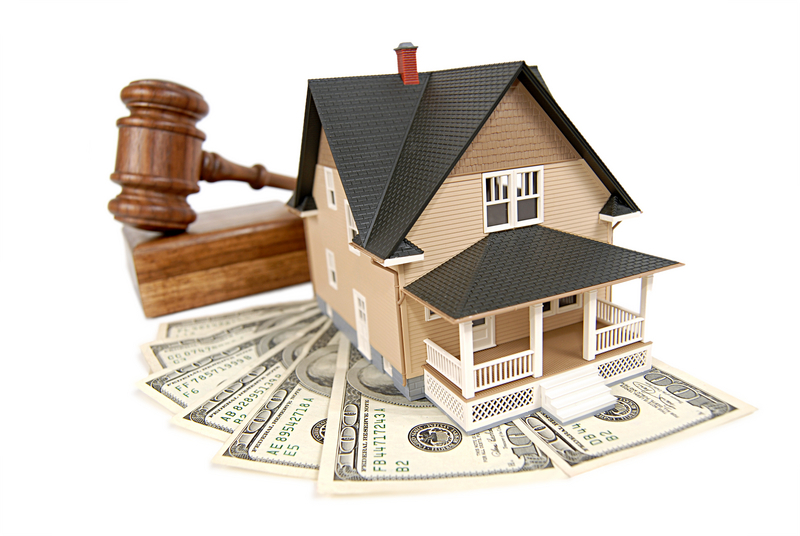 Tax lien auctions are one of two types: Bid Down or Straight Bid. In a Bid Down auction, the price for the property is set and does not change. Instead, bidding lowers the interest rate the buyer is willing to accept. In Illinois, the interest rate starts at 18 percent. It does down until no one is willing to accept less interest. In a Straight Bid auction, the interest rate is fixed. The bidders raise the price they are willing to pay until no one else bids higher. In a tax deed auction, the total of the items listed above is the opening bid. The purchase amount goes up. It is a Straight Bid auction. You don’t collect interest on your investment. You get the property. You get legal title to the property after the county finishes the paperwork and sends you the deed. Recording the deed and finishing the paperwork may take a few days to several weeks depending on the county. This is just a brief introduction of how to make money in tax liens. You can learn everything you need to know to make big profits at my website, Members.TedThomas.com.